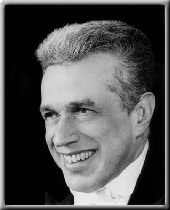 ohannes Somary, born in Switzerland and a graduate of the Yale School of Music, was the founding Music Director of Amor Artis, a chorus and orchestra in residence at Blessed Sacrament Church in New York City. He conducted internation ensembles such as the Royal Philharmonic, the English Chamber Orchestra, the Irish Chamber Orchestra, the Polish Television and Radio Orchestra, and XXI Sajandi Orkester in Tallinn, Estonia. One of his commissions as a composer was for Pinocchio and the Land of Toys, a musical story for winds, percussion and narrator, which was premiered in October 2004 by the Bronx Arts Ensemble. The premiere of the dramatic cantata, The Prodigal Son was April 2008, in New York City. As an organist he received critical acclaim for his recording of the Handel concerti. His discography includes sixty recordings, three of which were widely-acclaimed first recordings of Handel oratorios. In July 2004, he collaborated with Di Capo Opera in Venice, Italy, conducting three performances of the Mozart Requiem. He served for nearly four decades as chairman of the Arts-and-Music Department at Horace Mann School, and was later a faculty member of Columbia University (New York City) and Sacred Heart University (Fairfield CT). Since coming to New York in 1959, Maestro Somary served as choirmaster and organist for several churches, including the Cathedral of Saint Patrick. For over thirty years he was Music Director of the Fairfield County Chorale. He died on February 1, 2011, in the Bronx NY.